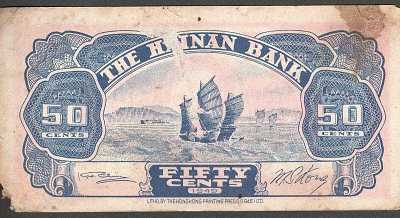 Hainan Bank issue. Ship. 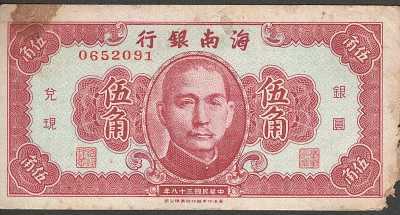 Printed by The Hong Kong Printing Press (1946) Ltd. Stains, pieces missing.